The Old Well Visitor’s Center represents a fictional ghost town in the Mojave Desert. The installation consisted of artists' books, photographs, ephemera, an audio guide, and a "gift shop" complete with postcards, brochures, and souveniers. 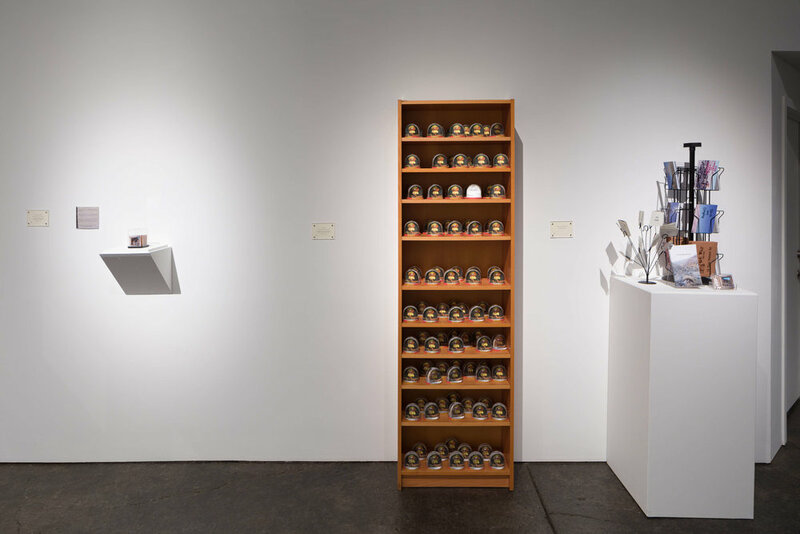 Old Well Visitor Center was on exhibition as part of SYNESTHESIA: Mills College MFA in Book Art and Creative Writing Thesis Exhibition at Aggregate Space Gallery in Oakland, CA in November 2015. 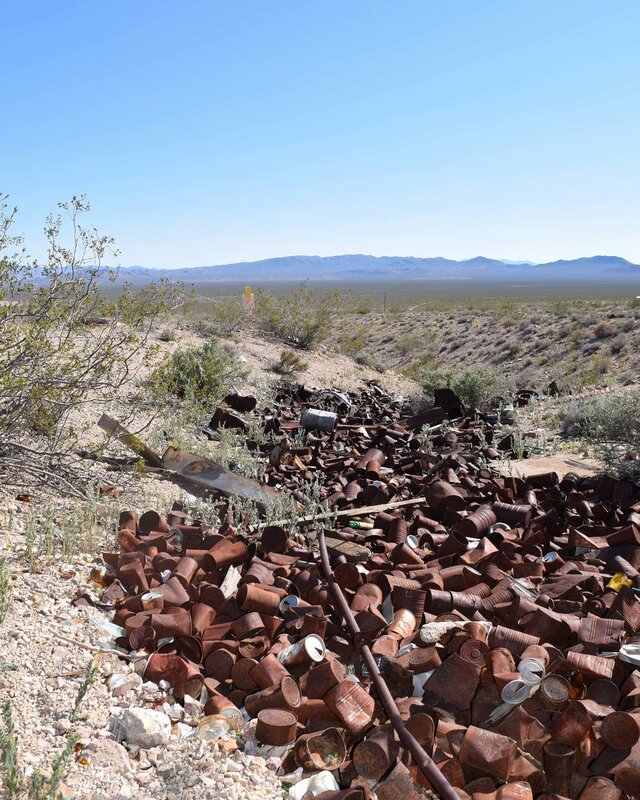 A ghost town is a place that was once populous, but unexpectedly and rapidly diminishes in population usually due to a single event such as a natural disaster, disease, or sudden loss of resources. The inhabitants are forced to evacuate quickly, often leaving behind many personal belongings in their haste. Over time, the town falls into disrepair and is forgotten. The buildings will still stand, weak and bowing from the strain of neglect, and are often filled with artifacts from their lost occupants. Ghost towns echo their loss loudly, and are filled with all the things that should be there, but aren’t anymore. A similar yet lesser known term is a “phantom settlement”, which is a place that exists on maps but not in real life. Phantom settlements appear less from error and more from deliberate fabrication. Cartographers in the 18th and 19th century would sometimes hide a signature fake town in all of their maps in order to catch plagiarists. Phantom settlements were also prevalent in early maps of the western United States as propaganda to make the west coast appear more populated and exciting in order to encourage people to move to out west. These are not the same as fictional or mythical places, but refer to only to the purposeful spreading of misinformation spread. Old Well is not an actual place, though it is a real place. All of the stories are true, though some happened in real life and some did not. Old Well exists in those dreams that feel so real that you are certain you are awake and yet, you wake. Old Well is made from those aching memories that burden you, that you know rationally couldn’t have happened. Old Well holds the echoes of people and things that are not here anymore, and the empty spaces that are left behind. Old Well is absurdity; the laughable confusion of existence.